Technology College Sarawak (TCS), previously known as Twintech College Sarawak, is a pioneer private tertiary education institution in East Malaysia. 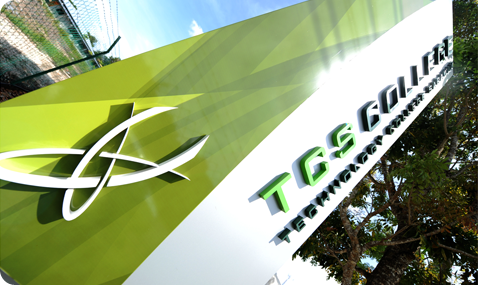 TCS, which is just a 20-minutes drive from the city centre, is located in the serene outskirts of Semariang, Kuching. The classrooms are designed with contemporary concepts and classes are conducted in small numbers. Comprehensive internet based services such as e-mail, web, virtual chat room and multimedia are available at student's disposal. Library and lecture rooms are well connected with computer networks to provide full access of online study and research for students and staff. TCS meets the educational needs of the country and the region through quality programmes that open doors to aspiring students to pursue their education in a broad area of specialization that covers academic and technical skills from diploma to bachelor degree levels. Majority of our students joined TCS as a result of recommendations from past or existing students. TCS has a high standard of academic provision and students who have successfully completed their studies at the college are able to secure successful careers in a variety of fields.